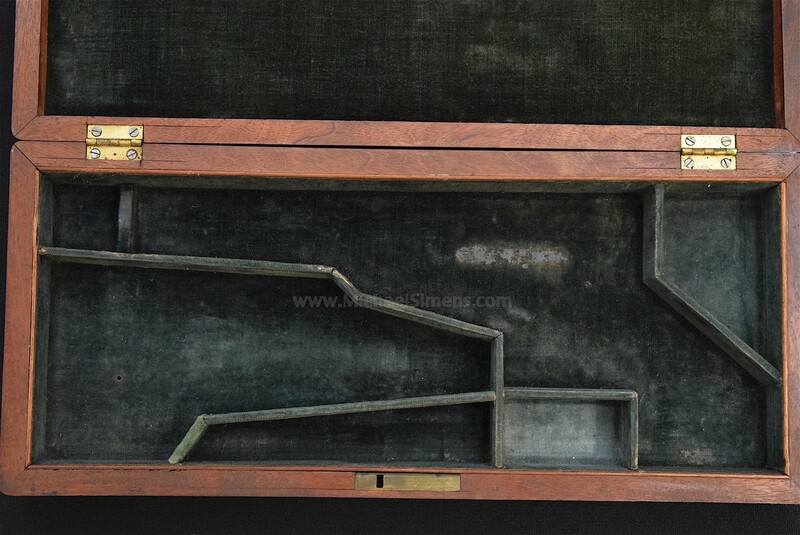 Here is an extremely rare and 100% original antique revolver case (revolver not included) that only fits a few guns. 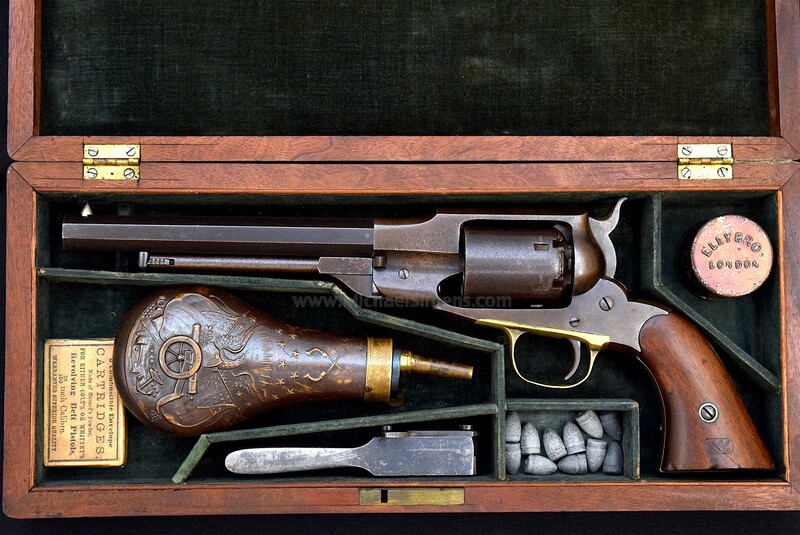 It will handily take a Remington Beals or Whitney Navy Revolver, but I'm sure it was originally built for a Beals Army. I found this with a Colt 1851 Navy in it, but the loading lever lug just didn't fit correctly. A Remington New Model Army fits, but the loading lever partition spells "B-E-A-L-S" to knowledgable collectors. AND IT IS RARE! 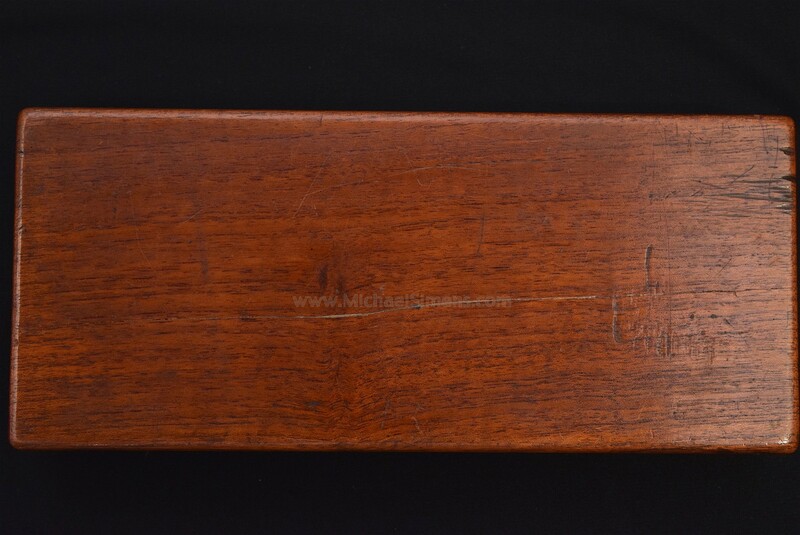 The case is in very fine to excellent condition with a couple of hairline cracks in the lid. 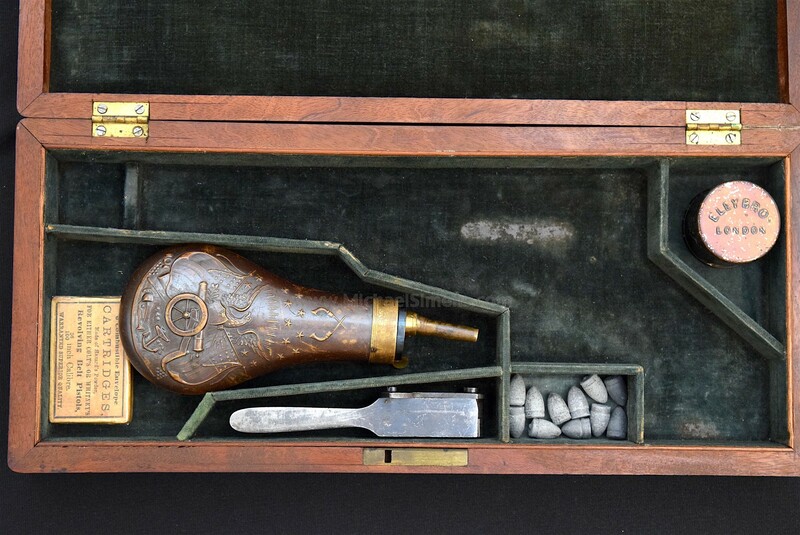 It comes with proper accessories for an Army or Navy sized revolver to include a period stand-of-arms flask, correct and unmarked Remington Navy mold with lots of original blue, a skin pack of Navy Sized cartridges, a cap tin and extra balls. I would like to sell this with the accessories in it, but will entertain an offer for just the box and if sold, I will part out the accessories. I doubt any of us will ever see another one of these very soon. On the other hand, if you own a high finish and/or an engraved Remington Beals Army Revolver, give me a call and lets talk about the possibilities of selling your gun to me. 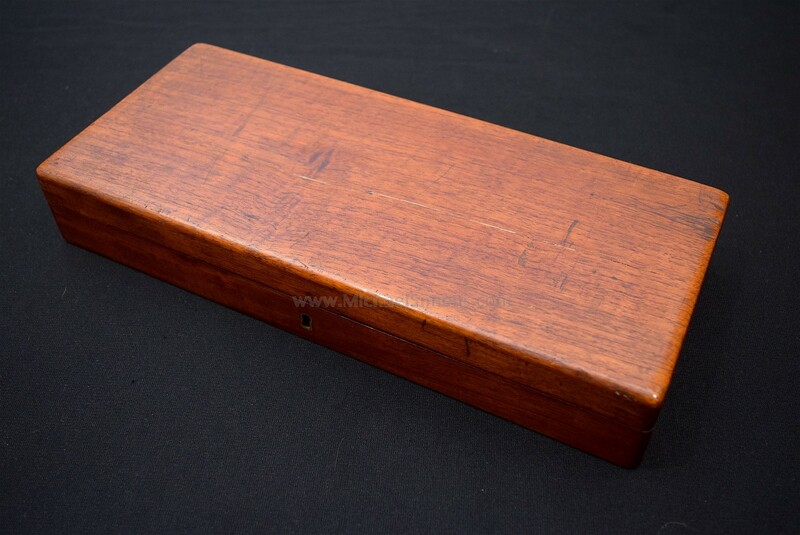 I value the box, one of the rarest I've ever found at $3,500.00, similar to the price of a Colt Navy box which can be found quite readily. The flask is easily worth $1,500.00. I'll part this case and accessories out if someone is interested in just the case or the flask.